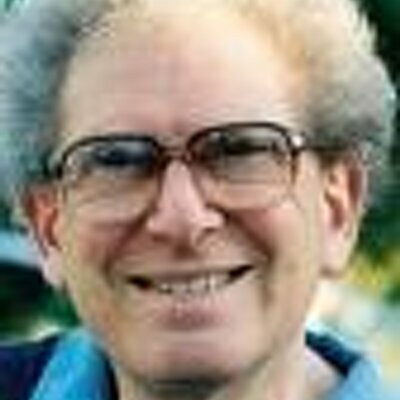 Russell Targ (1934 – ) is an American physicist and former laser engineer who became a parapsychologist. Targ now advocates the ideas of non-local consciousness, remote viewing (RV) and unifying mystical love. The transpersonal and cosmological implications of Targ’s notion of living in peace and love are reminiscent of the Catholic notion of the communion of saints. His views on Jesus’ teachings as presented in the New Testament, however, are highly selective. And Targ seems to present an overly homogenized view of different world religions. Targ also says that a belief in God is an unnecessary remnant of antiquated modes of reasoning, implying that anyone can know about God from direct experience. By way of contrast, the New Testament says that those who believe but have not seen are blessed. Then Jesus told him, “Because you have seen me, you have believed; blessed are those who have not seen and yet have believed” (John 20:29). However, Targ believes that the writings of mystics around the world should be taken as a kind of scientific data. 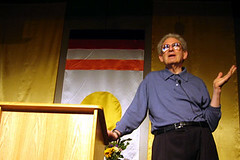 Psychologists David Marks and Richard Kammann criticized Targ’s published support of parapsychology in The Psychology of the Psychic . Some see Targ’s work as pseudoscience, others enthusiastically support his agenda. ¹ Targ is not alone here. Many want to experience first and then have knowledge, or what they believe is knowledge. But in a way, this can be seen as a kind of narrow-mindedness. Some don’t even consider the idea that belief, alone, can be valid; and in some instances, that belief could lead to higher forms of experience and knowledge. ² Thinking Allowed with Dr. Jeffrey Mishlove, “ESP, Clairvoyance and Remote Perception with Russell Targ.“ According to Anthony C. LoBaido at WorldNetDaily.com and Steve Hammons at JointReconStudyGroup, the CIA has experimented with RV for intelligence gathering. LoBaido also claims that the FBI has adopted RV for the same purposes. ³ The paranormal writer Rosemary Ellen Guiley says that Remote Sensing is a well-documented phenomenon, both in ancient and contemporary times.